The weather (per usual) has been up and down for most of spring and into early summer. One day its 70 and the next it's 55 and freezing. But when we do get those summery days everyone sheds a few layers, straps on their summer sandals and spends the day in the sun. I always struggle with what to make on those toasty hot days. One of my favorite things to whip up, that requires no heat at all, is fresh spring rolls. 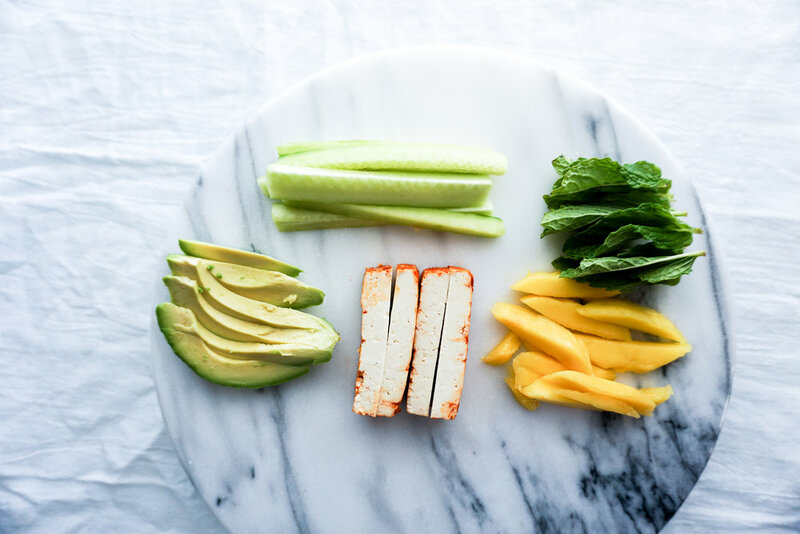 Most of the work is in prepping the ingredients for the inside but once you have that ready, you are ready to roll (see what I did there) I like to put in tofu, avocado, noodles, mint or basil and, if I am feeling fancy, mango. Learning how to roll them takes a little practice but if you have seen a burrito rolled enough times you probably are better prepared than you think you are.